Hair loss is a rather sensitive topic that affects millions of people worldwide. And despite the fact that hair loss isn’t such a serious condition and doesn’t alter the functionality or longevity of the person affected by it, people still feel very vulnerably when affected by it. That’s mainly because it is associated with the person’s visual aspect, which plays a very important role in the modern society. And it’s not surprising to see so many misconceptions surrounding hair loss these days even when there are such effective drugs as Propecia to deal with it. People will believe everything they are told in their hope to relieve the problem that’s making them look less attractive. And when coupled with compulsive behavior such myths can deliver even more damage than benefits. That’s why it is very important to learn the facts behind some of the most common hair loss myths. Myth: Hair loss can be treated with intense hair care and nutrition. Fact: It’s true that in some cases hair loss can be caused by poor hygiene or lack of necessary nutrients to feed the development of new hair. However, when that’s the case hair loss is certainly not the only sign of the problem. Improper hygiene is rare these days, since it’s a common standard to be tidy, especially in urban areas. Nutrition on the other hand can be a problem even in developed countries, since the common fast and junk food many people rely on lacks the necessary vitamins and minerals to keep the hair healthy. But as said, it won’t be the only problem to observe. So if your only major health concern is hair loss it is very unlikely that it will be treated by altering hygiene or nutrition habits. Myth: Hair loss is inherited from mothers. Fact: Many people believe that hair loss predisposition is transferred through the female line within the family. However, recent studies have shown that hair loss patterns can also be inherited from fathers, and even manifest themselves with gaps in generations. It’s a matter of specific genetic predisposition that affects hormone levels, so don’t rush blaming your parents for the hair loss. Myth: Wearing tight hats leads to hair loss. Fact: People who insist that tight hats are to blame for hair loss often provide a semi-medical explanation that tight hats affects the blood circulation within the scalp, which is the main cause for hair loss patterns. However, it would require a hat so tight to actually impede blood circulation that you’d feel that it would actually hurt to put on in the first place. So instead of changing your hat preferences consider buying Propecia. Myth: Shaving your head may stop hair loss. Fact: Some people believe that if you shave your head the hair starts growing faster and thicker. This observation comes from the practice of shaving other body parts where it actually works this way. However, if you experience hair loss problems and actually shave your head the problem may actually become more pronounced as you may damage the hair follicles. 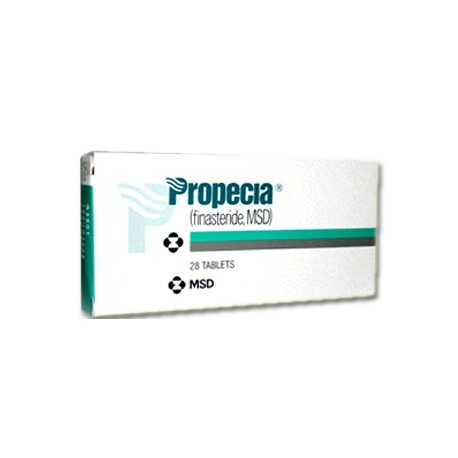 So instead of taking the razor, take the time to visit your doctor and talk about taking Propecia.